The project is presented during this years’ marine bio-resources themed event thanks to our partner Pôle Mer Bretagne Atlantique. 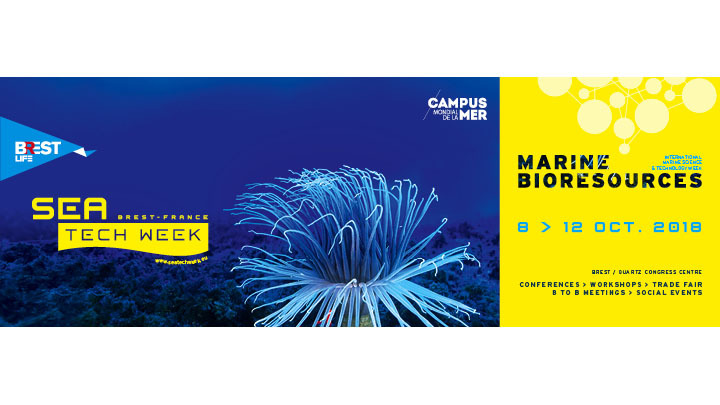 SAFER is actively participating in the 11th edition of Sea Tech Week where over one thousand participants including researchers, industrialists and decision-makers will gather in Brest (France) from 8th – 12th October 2018. Sea Tech Week provides a unique opportunity to develop business relationships and face to face meetings with customers, leads and prospective partners in the domain of marine science and technology. The theme for this year’s event is marine bio-resources, covering a broad sweep from resource characterisation and production to economic development. The objective is to highlight all the latest technologies on offer in these different fields of application. SAFER's participation is possible thanks to the facilitation of our partner Pôle Mer Bretagne Atlantique who is actively involving our partners in several activities like workshops and the B2B meetings with relevant organisations linked to the innovation in the seafood sector. For a full programme of events, please visit the Sea Tech Week website.